With an anticipated Super Bowl audience of more than 111 million viewers this year, chances are that a few thousand of those viewers in the CTC might just be watching the game at a church Super Bowl party. After all, not only is the game (and the commercials) more fun to watch with friends and good food, it is also an excellent outreach opportunity. However, before you finalize your plans, there are a few legalities of which churches need to be aware that go beyond the standard copyright issues for typical church activities. 1. Churches must show the game live on equipment they use in the course of ministry at their premises. That means you can’t make a copy or reproduce the live TV showing in any format. 2. Churches cannot charge admission for the party. The NFL has stated, however, that churches may take up a donation to defray the cost of the event. 3. Do not use NFL Shield, Super Bowl logo or either of the team logos to promote your party. This includes putting any of their trademarked logos or names on your website. It’s important to keep in mind that this only addresses the showing of the live Super Bowl game on TV at your event in your facility. You cannot stream your event online or, as mentioned above, record it and show it at a later date. The regulations are fuzzy on delaying the game by using a DVR so that you can zip through the commercials, so it is best to err on the side of caution here and refrain from doing that. Besides, the Super Bowl commercials are often the most entertaining part of the game anyway. If you want to play or perform music at your Super Bowl viewing event, you will need performance licenses to cover the use of copyrighted music. If you need to update your music or video licenses, please visit ctcumc.org/copyrights. 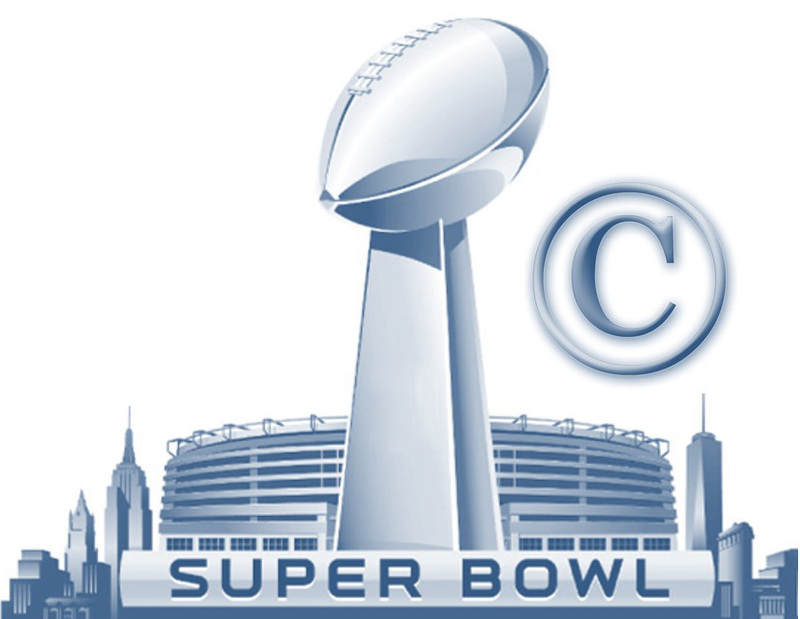 Christian Copyright Solutions (CCS) has posted an article on its website about the legalities of hosting a Super Bowl party with much more detail and Q&A’s from the NFL.